Glass Coffee Tables There are 23 products. The Cape Coffee Table is a Contemporary and Stylish Coffee Table to make the look of your Living room more Luxurious and Modern. The Boule High gloss coffee table with two stools hidden underneath. This table comes with a choice of a Black Border or Clear Glass. The Fantastic Boule Coffee Table With High Gloss Black Base with 2 stools and Glass Rectangular top will truly compliment your home. The Black Glass will be only Bordered in Black Color centre will be Clear. 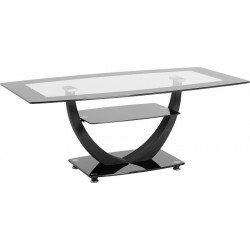 The Angola Nest Tables comes in a simple clean glass finish or Black Glass finish. This range is manufactured from Tempered Glass. Available in Black Glass or Clear Glass. The modern styled Angola nest tables will look great amongst your living room furniture. 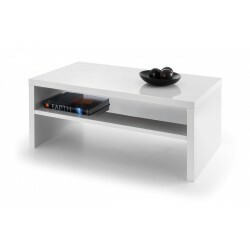 The modern styled Angola coffee table will look great amongst your living room furniture and is available in two colours. 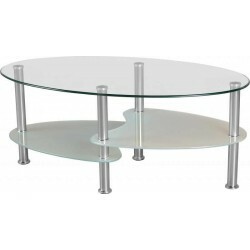 Stunning, Exquisitely Designed Bent glass coffee table. This tempered glass sheet has been bent to create a sleek flowing look. High strength tempered glass for peace of mind. 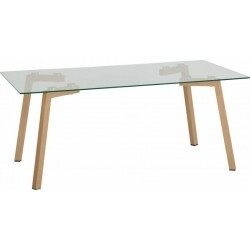 The Adina Coffee Table, High Quality Tempered Glass with Wooden Legs in Oak finish. 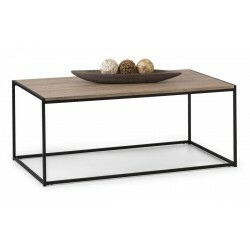 The Adina Coffee table is available in Clear Glass Top with Smoked Glass Shelf or Black Glass Top with Black Glass Shelf. 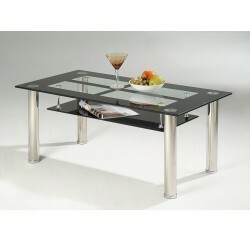 Vegas Coffee Table, High Quality Tempered Glass with Chrome Legs. Top is Clear Glass with Black Border and the Bottom Shelf is Black Glass. 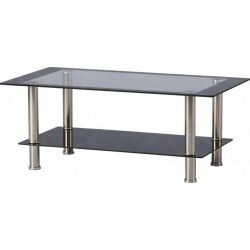 New Modern Design Contemporary Style Panama Coffee Table, High Quality Tempered Glass with High Gloss Base. Top is Clear Glass with Colored Border.